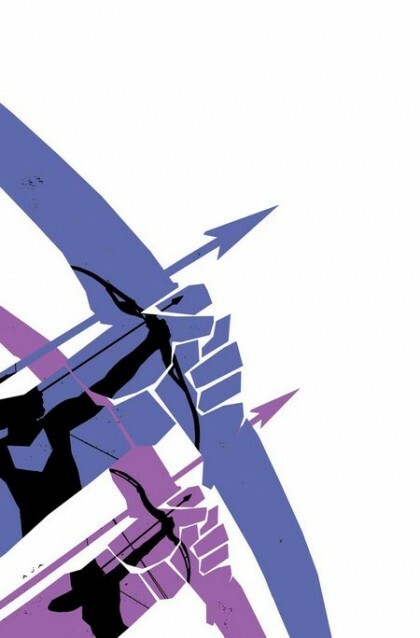 Seth’s Pick :: Hawkeye #3: You’re a normal guy who happens to have a pretty high profile day job. It just so happens it’s a high stress, high risk gig. Your co-workers include a big guy who walks around like he’s a god, an old soldier who casts a shadow on everyone, and a rich man-child who can build or blow up whatever he wants. After a long day, you go home to your modest little apartment, pet the dog, and maybe grab a bite to eat with some neighbors grilling on the roof. You try to keep your head down, but you can’t help sticking your nose into other people’s business when you know they’re up to no good. You’d like to kick back, have another beer, and ignore your conscience, but you can’t help yourself. Sometimes you bring work home with you even when you’re out of the uniform. Matt Fraction and David Aja’s Hawkeye is a fine comic, plain and simple. It’s not too late to read one of the best monthly comics (superhero or otherwise) on the shelves.